AP ImagesBerkshire Hathaway Chairman and CEO Warren Buffett extends his hand to greet a journalist, in front of a mockup of a BNSF locomotive. Warren Buffett’s single biggest profit-driver last quarter was a railroad. 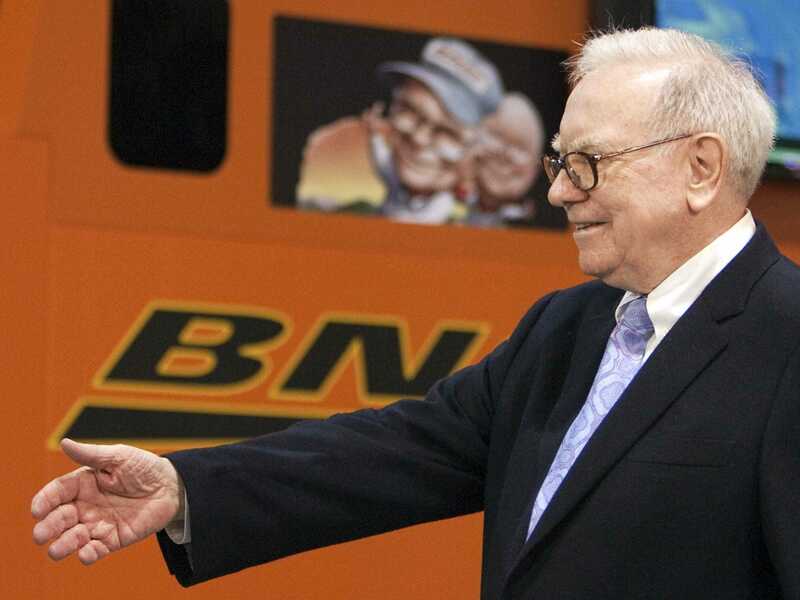 In 2009, Buffett’s Berkshire Hathaway bought Burlington Northern Sante Fe, the nation’s second-largest railroad, in a deal worth $US44 billion. But now, about five years after the deal, a report from Bloomberg’s Noah Buhayar said that by the end of this year, BNSF will return all the cash Buffett spent on the deal. And according to Berkshire’s latest filing with the SEC, BNSF was the company’s single-biggest profit driver, with earnings before taxes coming in at $US1.65 billion during the third quarter. Earnings in Berkshire’s insurance group totaled $US1.92 billion, though this unit includes four separate Berkshire businesses. On Friday afternoon, Berkshire reported third quarter results, which showed the company’s operating earnings per share came in at $US2,876. Revenue in the quarter came in at $US51.2 billion. In his 2010 annual letter, the first issued following the BNSF acquisition, Buffett called the deal the year’s highlight and said at the time the deal was working out better than expected. Buffett added that the 2009 was deal was an, “all-in wager on the economic future of the United States,” and in an interview back in October, Buffett said the US economy is now performing better than he expected back then. And along with this economic performance, BNSF’s has followed suit. 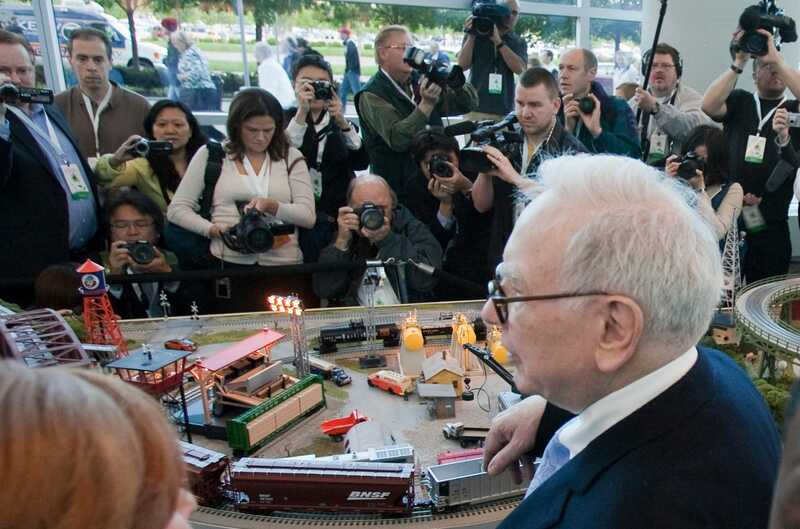 AP ImagesBerkshire Hathaway Chairman and CEO Warren Buffett looks at a model railroad.